On July 27, 1904 a great Soviet chess player Lyudmila Rudenko was born. The first women's world champion Vera Menchik died in 1944 during an air raid during the second world war. After the war in the winter of 1949–1950 the World Chess Federation (FIDE) held a tournament in Moscow to determine the new women's world champion. Sixteen women from twelve countries competed, with the four Soviet players taking the top four spots. 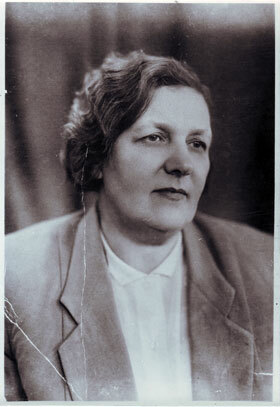 Rudenko won, and held the Women's World Championship title until losing it to Elisabeth Bykova in 1953 in the next championship cycle. After the war, Rudenko's chess trainers were Alexander Tolush and Grigory Levenfish. For those of you who know Russian, there is an interesting article about Lyudmila Rudenko here. Every year in Saint Petesburg, the city where Rudenko lived for a long time, an annual women's tournament is taking place dedicated to the great chess champion. This year it will take place from August 25 till September 3, 2009. The information about the tournament can be found on the official site of the Saint-Petersburg chess federation, here. Here is a game between Lyudmila Rudenko and Clarice Benini from the women's world championship tournament of 1950. 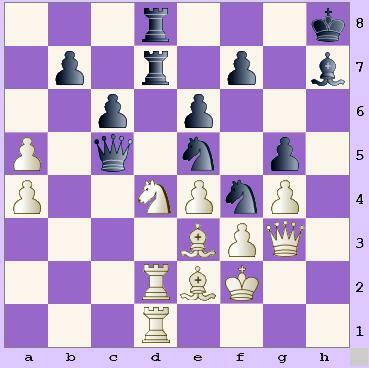 The chessboard is © www.pgnplayer.com where you can copy and paste any pgn moves and see the game on the board automatically.